Several politicians and organizations spoke out on social media against rumors that President Trump will end the DACA program. Advocates and several government officials are rallying against President Donald Trump's plans to end the Deferred Action for Childhood Arrivals, DACA, program by Friday. By ending the program, an estimated 800,000 young undocumented immigrants could face deportation and be denied the opportunity to work and study in the U.S. legally. Several government officials say Trump is weighing whether to let DACA gradually expire or end it immediately, NBC News reported. An outpouring of support surged on Twitter from officials such as Sens. Diane Feinstein and Kamala Harris, California U.S. Reps. Brad Sherman and Eric Swalwell, and Vermont Sen. Bernie Sanders expressing support and vowing to continue fighting and protecting DACA. Organizations such as Planned Parenthood, United We Dream and the Women's March also joined in the conversation. Immigration advocates estimate there are 60,000 eligible young people in the Bay Area who could qualify for the program. In response, Thursday night in San Jose, volunteers at SIREN sounded the alarm, reaching out to registered voters and asking them to call the president to voice their disgust. 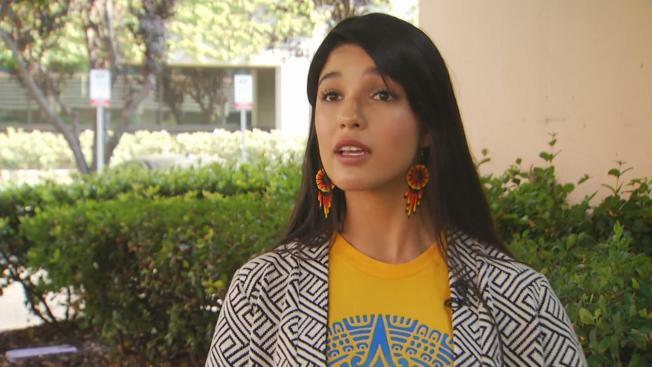 One of those undocumented immigrants is the student body president at San Jose State University. "I got here when I was 4," said Ariadna Manzo, a fourth-year political science major. "I know nothing of where I'm from, except the language I speak. When I graduate, there's no opportunity for me to go into that field or pursue more education." In Oakland, a vigil was planned to emphasize the importance of maintaining DACA. The vigil was to be held at Frank H. Ogawa Plaza at 6 p.m., with leaders and various faith groups planning to speak and pray in hopes that DACA will survive. "The simple fact that Trump is threatening to end the DACA program is reprehensible and breaks a promise made to nearly 800,000 young people who are currently working toward the American dream in the ultimate nation of immigrants," Oakland Mayor Libby Schaaf said. In Oakland and Alameda County alone, there are about 17,000 DACA-eligible individuals seeking higher education and working opportunities. Back in San Jose, Mayor Sam Liccardo reassured DREAMers that the San Jose Police Department and the city will have "their back" and will not be participating in ICE investigations or enforcements. "President Trump's impending decision to terminate DACA, should it transpire, will leave a shameful mark in history as this administration's rock bottom," said San Jose Mayor Sam Liccardo. "Ending DACA abandons the American spirit of diversity, inclusion and possibility. This immoral and cruel decision betrays our values and our promises." Volunteers said they will make calls through the weekend, unwilling to stop until the president decides to keep it. "It's the right thing to do, the humane thing to do, it's morally the just thing to do," said Louis Rocha Jr., of the Communications Workers of America. "And that's why I'm here." The attorneys general from 10 states have threatened to sue the Trump administration by Tuesday to stop DACA, unless the president kills the program himself. We stand with the immigrant families who are scared to death, to young people on the DACA program for whom America is their home. If you end DACA, we will make your life impossible.